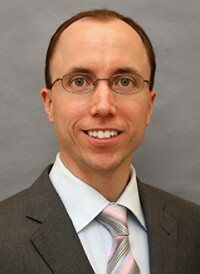 Robert M. Wilson, Jr., is an investment officer and research analyst at MFS Investment Management. His primary role involves working with the firm's analysts and portfolio managers to integrate environmental, social and governance (ESG) issues into the investment decision-making process. Rob is also responsible for developing thought leadership regarding the role that ESG integration should play in a long-term investment process. Rob joined MFS in 2013 after six years with American Century, where he most recently served as a senior equity analyst. Previously, Rob spent five years at Bain & Company, working as a manager in the Financial Planning & Analysis group. Rob earned a bachelor of science in business administration from Boston University and a Master of Business Administration from the University of Chicago. Rob was BASIC's technology chair from June 2013 – June 2015.